We may have heard that the secret to life is to major on the majors, but in reality, how we handle the little things reveals our true priorities. A group of minor prophets from the Old Testament proclaimed that life's biggest challenges can be handled when we trust God with everything, even the smallest of things. 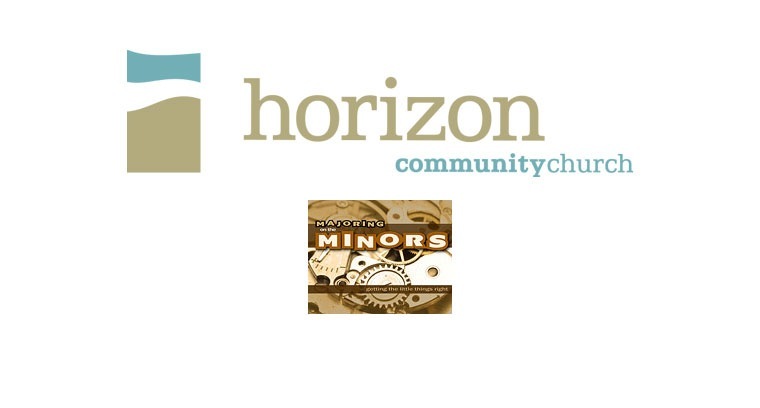 Walk through those promises in Majoring on the Minors, a 9:15 series beginning Jan. 3rd, 2010.